Is Islam Dominated by Radicals? 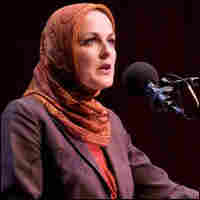 Since the terrorist attacks of Sept. 11, 2001, a debate has raged about the nature of the Muslim faith. 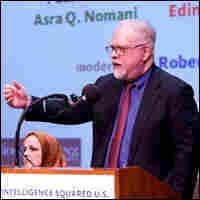 A group of six experts tackles the question of whether the religion is dominated by extremists in the Intelligence Squared U.S. series. 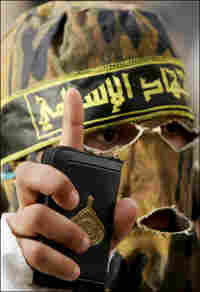 A masked member of the armed wing of the radical Islamic Jihad group holds a Quran during an anti-Israeli protest in the village of Qabatiya, near the West Bank town of Jenin, in March. Since al-Qaida terrorists attacked the United States on Sept. 11, 2001, a debate has raged about the nature and leadership of the Muslim faith. Some characterize Islam as a religion dominated by repressive extremists who justify the use of violence to achieve their objectives. Others maintain that the majority of the world's more than 1 billion Muslims are moderates who reject such radical ideology. Six experts recently took on the issue in an Oxford-style debate, part of the series Intelligence Squared U.S. 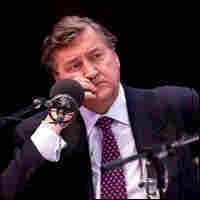 The debates are modeled on a program begun in London in 2002: Three experts argue in favor of a proposition; three argue against. In the April 15 debate, the formal proposition was "Islam Is Dominated by Radicals." Before the debate, 46 percent of the audience voted in favor of the motion, agreeing that Islam is dominated by radicals, while 32 percent were against it and 22 percent were undecided. In a vote at the end, 73 percent supported the motion and 23 percent opposed it, with 4 percent still undecided. 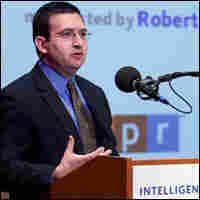 The event was held at Asia Society and Museum in New York City and moderated by Robert Siegel, senior host of NPR's All Things Considered and the radio host of the Intelligence Squared series. Paul Marshall, senior fellow at the Center for Religious Freedom at the Hudson Institute, says: "With the development of Iran next door to them, the Saudis redoubled their own efforts to export their own version of radical Islam. They proclaim themselves, on many occasions, the Muslim Vatican — a very un-Muslim term — and now, by most best estimates, spend some $3 billion a year exporting their radical version of Islam around the world. That's ... about three times as much as the Soviet Union used for ideological purposes at the height of its power. If one travels to a moderate Muslim country, such as Indonesia, or if you travel throughout Africa, you will find Saudi-funded mosques, imams, lectures, sermons, students, books, videos, fatwas propagating its own reactionary version of Islam. The Iranians seek to do the same. One result of this, though there are homegrown radical movements, with this organizational push behind them, one sees the growth of radical Islam throughout the world." 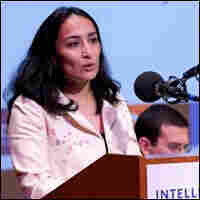 Asra Nomani, a professor in the practice of journalism at Georgetown University and a former Wall Street Journal reporter, says: "The opposite side wants to suggest that we can't tell you stories from the trenches. But it is, in fact, in the trenches where we know what is happening, that we know that the radicals are, in fact, intimidating, silencing and paralyzing the moderates. I know it from my lifetime in the Muslim community and I know it from stories and anecdotes, sure, and historical and country cases. When I was given this proposition I asked my mother — a grandmother who has taught me my Muslim prayers, who is teaching her grandchildren the prayers — I said, 'Do you think that Islam is dominated by radicals?' You can dismiss her as an anecdote. You can dismiss her as somebody who isn't pundit enough, but she's got her finger on the pulse of what's going on in our communities. And she didn't hesitate in saying yes." One recent poll by Policy Exchange that was undertaken in Britain back in 2006 shows that a shocking 36 percent of British Muslims between the ages of 16 and 24 said that someone who converts from Islam to another faith should be punished by death. That's within the West, you get 36 percent support for this. Now, 36 percent obviously is not a majority. But what it shows is the hegemony, as we framed it, of radicals — the fact that these ideas are seeping even into the West, where people are familiar with Western customs, Western freedoms and have had a chance to live in them." 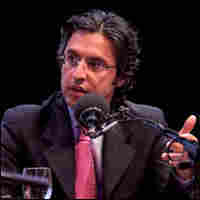 Reza Aslan, a fellow at the University of Southern California's Center on Public Diplomacy and a creative writing professor at the University of California, Riverside, says: "So then I suppose the real question here is why do we keep asking pundits and politicians and writers and public intellectuals what Muslims think? Why don't we just simply ask Muslims themselves? This is, after all, not so arduous a task. In fact, the Gallup organization — the most trusted polling organization in the world — has already done the work for us by conducting the largest, most comprehensive poll of the Muslim world ever done. According to that poll, a mere 7 percent of the world's Muslims — not Arabs — 7 percent of the world's Muslims believe that the attacks of 9/11 were justified. ... In fact, the Gallup poll found that in all Muslim countries, the majority of those Muslims who, quote/unquote, support violence or what we can refer to as radical views or tendencies do so for markedly secular — that is, political — reasons." Edina Lekovic, director of communications for the Muslim Public Affairs Council, says: "The reality on the ground is this: Radicals are failing in their attempt to dominate. 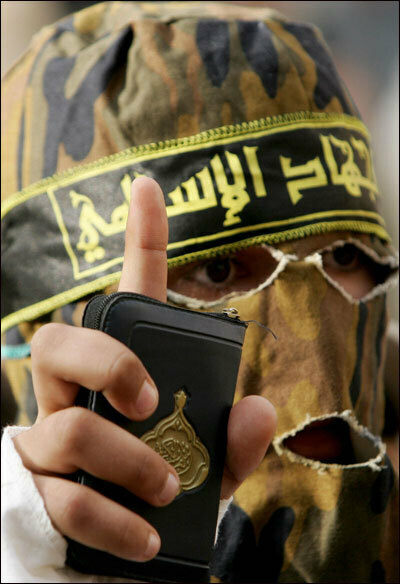 Radicals, those who make up al-Qaida and its various branches, are on the run. They are in decline. Their messages are not reaching the audiences that they seek to convert and to brainwash as much as they used to. And that, to me, is an important symbol of the rise of moderation, the rise of the middle, the rise of those who dominate this faith. Even those in al-Qaida ... have had to change their tactics because they are receiving criticism from within the Muslim community. They have had to respond to criticism about targeting civilians and have had to answer these questions to the very people that they are trying to recruit." Now, the fact of the matter is that when they object to autocratic rule, two things happen. One is that they fall back on their religious faith, and say, 'Well, Islam can help us against this autocracy.' The second one is they say, 'Who is supporting the dictatorships that we live in?' Lo and behold, they say it's the United States. So that when you have Muslims objecting to U.S. policies, it's more frequently that they are objecting to the support the United States gives to autocratic rule, whether it is in Egypt or in Saudi Arabia or in Pakistan."